Each week we collect all the MBA news that’s fit to print and provide a quick overview of the latest trending topics from top schools around the world. Here’s your quick MBA News You Need digest for the week of July 12, 2018. To reach more applicants from liberal arts backgrounds, Carnegie Mellon University’s Tepper School of Business, Yale SOM, and Columbia Business School are among several leading MBA programs that have begun to offer math-intensive coursework over the summer. These “math camps” are ideal for former English literature and political science majors who lack the fundamental quantitative skills to handle the MBA course load. The goal is to better prepare these students for the semesters ahead by giving them the help they need now. To learn more about these math-intensive offerings, read the original Wall Street Journal article. As corporations continue to pervade every aspect of our lives, including politics, and the gap between rich and poor widens, it’s no surprise that we as a society are interrogating the value of an elite business school education. Professor Martin Parker’s recent book, Shut Down the Business School: What’s Wrong with Management Education, described business education as a “shorthand for some combination of greed and stupidity.” It seems Parker’s polemic, which is by no means an isolated attack, is beginning to impact employers. Last month, McKinsey admitted that it would hire fewer MBA graduates in favor of a more diverse range of people. Amazon is another top MBA employer that has recently announced new hiring practices that may not favor MBAs. 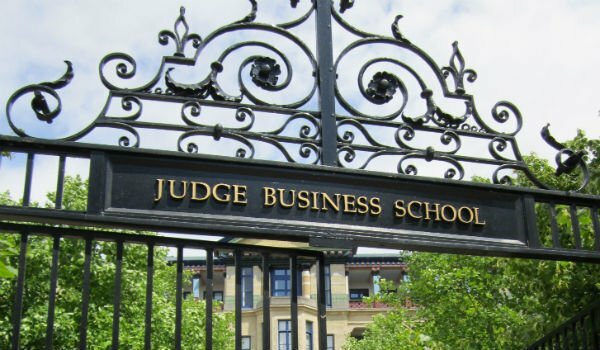 Complacency in the face of criticism is no longer an option; this cultural bias against MBAs is a problem that business schools and their graduates will have to address before long. Read the Financial Times article. On July 19th and 20th, the UCLA Anderson School of Management will host the 2018 BIT Conference. This year’s conference will focus on an “industrial revolution for services,” in particular the myriad ways in which AI, IoT, and data analytics will affect the service sector. During the two-day event, attendees, including managers, students, and faculty, will participate in a series of panels and presentations from top industry leaders, including Jeffrey Benabio, the director of health care transformation at Kaiser Permanente, and Jim Spohrer, the director of cognitive opentech at IBM. Registration fees are $250 for both days or $150 for one day. Discounts are available for groups and full-time academics. Register now and visit the UCLA Anderson website to learn more. In a recent interview with Autobild.tv, Elon Musk discussed Apple Co-Founder Steve Jobs and Microsoft Co-Founder Bill Gates at length in terms of what it takes to build a successful company. While this seems like a simple concept, it can be difficult to implement. To hire quality employees that want to stick around, companies have to use various tactics beyond standard compensation. They offer perks like pet-friendly offices and organic spa access for extra incentive. Apple, for instance, gives employees product discounts and an on-site wellness center while Microsoft offers pet insurance and a free shuttle to and from work. To say the cultural and industrial expectations of MBA graduates are demanding would be a massive understatement. MBAs must be shrewd, cunning, even omniscient when it comes to helping companies cope with change and cut through the noise to make better decisions. MBAs are also fallible human beings like the rest of us—perhaps a bit more so since new and unfamiliar situations constantly put their analytical skills to the test. In fact, many of the most complex decisions MBAs have helped companies make are rooted in the inherent volatility that comes with simply being human. 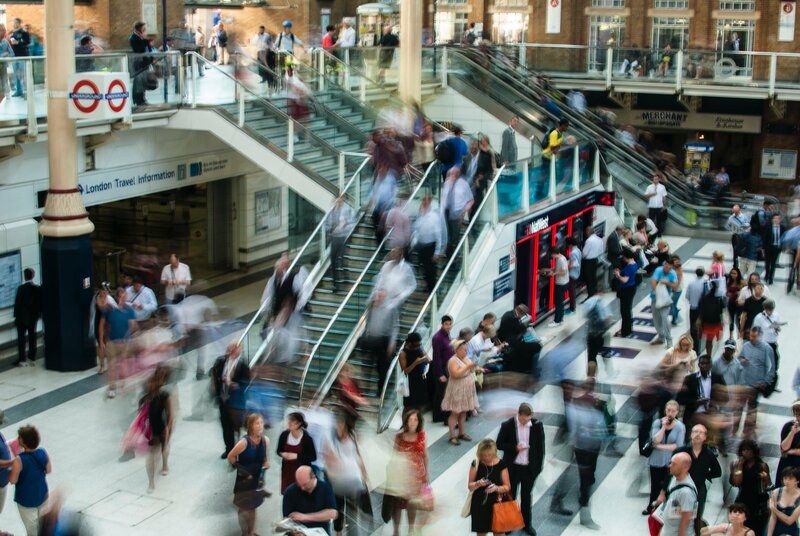 Recent INSEAD graduate and management consultant Michel Assaad, MBA’18J, took to the INSEAD blog to address the many stigmas attached to MBAs and to encourage current and future students to be human. Several weeks ago Richard Thaler won the Nobel memorial prize in Economics for his contributions to behavioral economics. Fifteen years earlier, Daniel Kahneman, professor of psychology and public affairs, once called the “Beyoncé of behavioral sciences,” won the same prize for his efforts in the same field. However the significance of the recent event is that Richard is the first economist to win the prize in the revolutionary field that challenges core economic principles that had always been taken for granted. 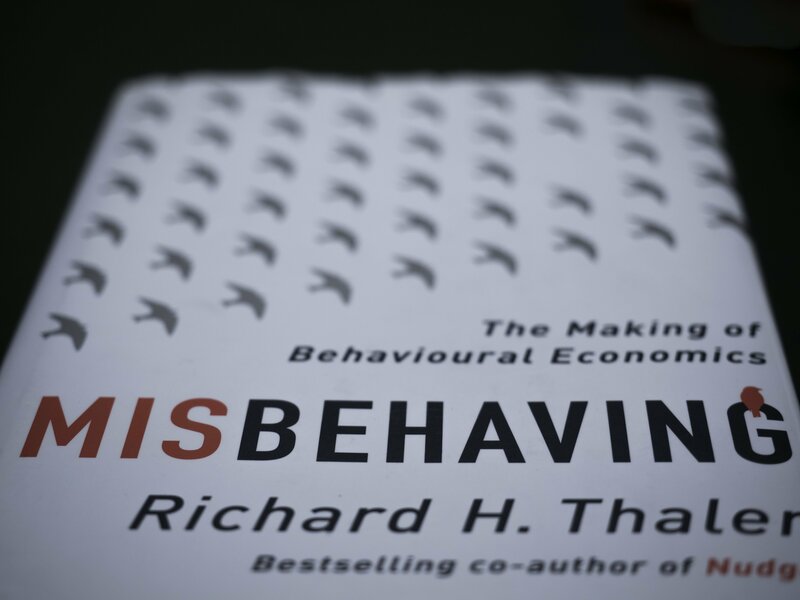 For years, mainstream economists dismissed behavioral scientists, but that has been slowly changing. The likes of Danny Kahneman, Amos Tversky and Richard Thaler–and many others–dedicated much of their careers to analyzing the biases and imperfection that shape our decision-making process. They changed the way we think about thinking. 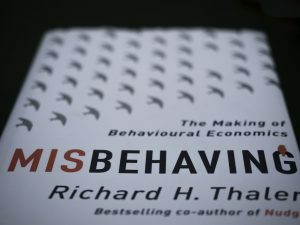 In my opinion, behavioral economics’ main achievement is that it challenged the notion that economics agents (in other words, people) act rationally to maximize their utility, a concept that shaped and dominated classical economic theory for decades. When asked what the most important aspect of his research was. Richard Thaler replied, ironically, that it was the recognition that economic agents are human, and that economic models have to incorporate that. In this, very long, blog post I want to share a few thoughts that I have around my MBA experience so far. There are many stigmas and myths that I have been hearing for years. There is a lot of pressure on MBAs to make the “right” decision and to have the best of times. After going through months of preparation, tests, informational discussions and interviews, essay and application writing, formal interviews and three months of the degree itself, my best advice is that it’s ok, and healthy, to be human. Exactly one year ago, I was explaining to a childhood friend that I had decided to leave work to go back to school for my MBA. He was puzzled on why I wanted to go back to school for a fourth time. He, however, said that he trusted that I thought long and hard very rationally about it and had done the math, like I typically do. The truth was that I really hadn’t and it was so unlike me. I have known for a long time, 7 years to be precise, that I wanted to pursue an MBA but I was not able to fully rationalize my decision like I typically would. Having already earned three degrees in business, I had strong core knowledge in business subjects- some more than others, but enough to do well in a consulting career that I thoroughly enjoyed, however I felt that I could improve in a few areas and sharpen my leadership and interpersonal skills. I knew that I wasn’t where I wanted to be and needed another push forward. The more I read about business and strategy, the more I believed in the benefits of spending one additional, intense, year challenging what I have learned so far. I needed inspiration from the wonderful people that I would meet in school. Despite my bank account suggesting otherwise, I have never regretted my decisions to go back to school. You get to spend time with brilliant people from all over the world. How could that be anything but positive? To my friend’s surprise, I didn’t have a financial model calculating the Return-on-investment, nor was I interested in creating one. I think that there’s an intense, and perhaps self-imposed, pressure on MBAs to ‘rationalize’ the decision as much as possible. Yes, we have to pay A LOT of money and leave the job market for some time, but a big part of the pressure comes from this idea that MBAs are not necessarily human. That they have superior decision-making skills, especially when it comes to investing time and money. We know that is not true. MBAs are just as rational, or irrational, as anyone else. We all make systematic errors and are easily “nudged” towards ideas. I, perhaps, was suffering from confirmation bias when I was rationalizing my MBA decision. But I was convinced the MBA would be very beneficial for me. I was set and invested. Yes, I am doing a MBA at a “top school.” No, I don’t necessarily want to save the world or become a billionaire. The first group knows what it is and thinks that it’s a good idea, a valuable business degree- no more, no less. The second group doesn’t necessarily know much about it – if at all- and naturally doesn’t have a strong opinion for or against it. MBAs are the crooked, elitist, finance and business leaders that have caused the financial crisis and will cause more multilayered inequalities. I believe that the latter two are extremists and propagate existing stereotypes, depending on your ideological position about business generally. I belong to the first group. I value education generally, and having been in the consulting industry for years I know how valuable the degree could be since it provides you with the knowledge, skills and tools that you’d need to excel in many careers. It was, nevertheless, interesting and important for me to see for myself what it actually is all about. During our first week at INSEAD, we had a brilliant session, led by one of our professors and renowned psychologist, Derek Deasy, discussing our motives and objectives coming into the program. We listed a couple of dozens of different reasons: a group of people wanted to change careers, locations and/or functions. A few others wanted to get a better international outlook and meet new people from different backgrounds. Others wanted to move from the non-profit world to consulting or finance- others the exact opposite. 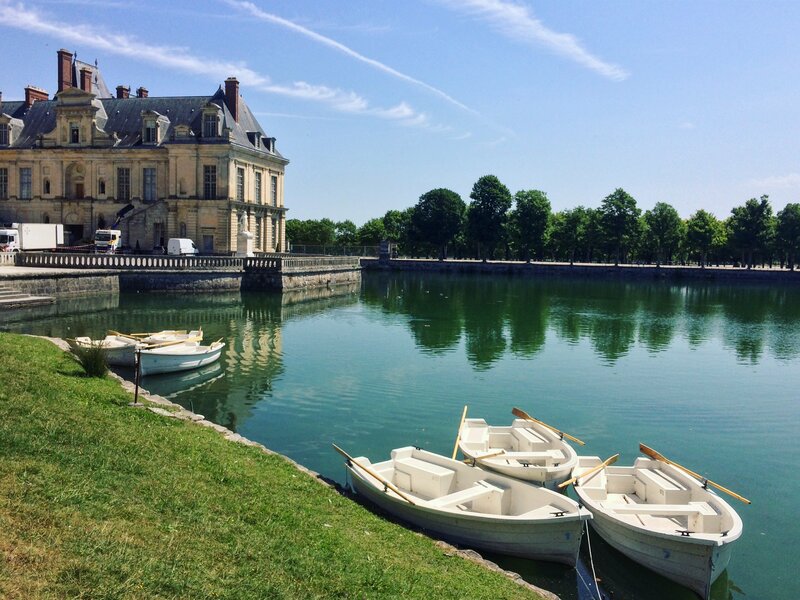 A few people just wanted a break from their careers to figure out what they want to do in life, while others had business ideas that they wanted to test and develop during their year at INSEAD. We all had different reasons, objectives, background, dreams, insecurities, anomalies and worries. We don’t necessarily want to save the world, nor do we think we’ll end up like Martin Shkreli (who we discussed last week in our ethics class). 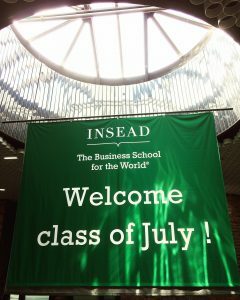 We’re all humans with different reasons to be here at INSEAD. We are all trying to maximize our utility, rationally or not, the best way we know how, and decided to invest a lot of time, effort and money into this experience. We want to do good while doing well. 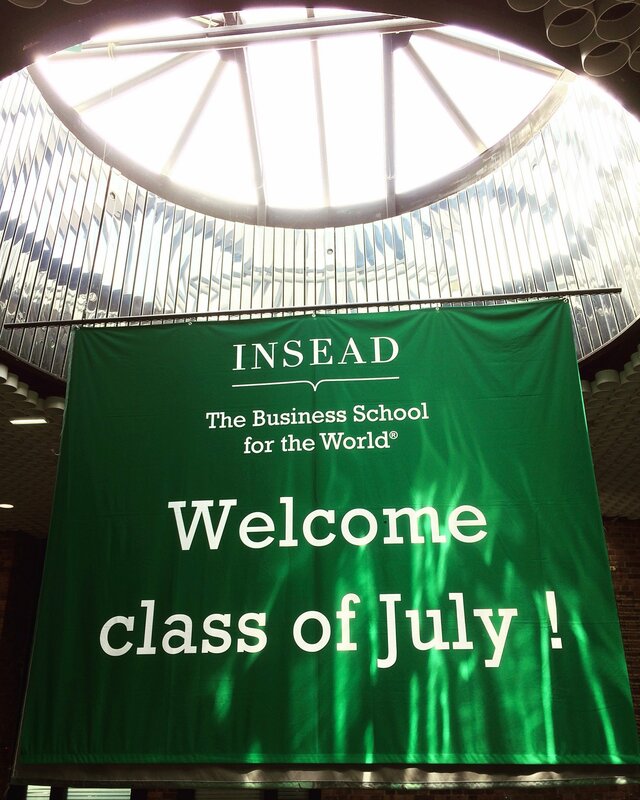 Before the MBA, while I was researching and comparing different schools and programs, most people that I spoke to, and almost all of the INSEAD alums, said that the MBA is the best year of their lives and will certainly be mine if I decide to do it. This sentence got stuck in my head and I was thinking about it on a daily basis. Going into the experience, investing a lot of money and a year off the job market. What if it doesn’t turn out to be the best year of my life? It puts so much, unnecessary, pressure on us, incoming students, to not only enjoy the experience and learn from it, but also expect it to be nothing short of the best year in our lives. I have to admit that I thought about this more than I should have, but I couldn’t help it. During the first few weeks into the program, I started talking to other classmates about it and we agreed that the experience was so far extremely positive; we are learning at an accelerated rate, meeting new people every single day, having enriching discussions, traveling often, attending careers sessions, corporate events, having parties and dinners at chateaus, attending football and rugby games- just to name a few. But was it the best year of lives by far? Not necessarily. Was INSEAD under-delivering? Were we doing something wrong? And if the answer to that second question is yes, then what do we need to do to change that? Daniel Kahneman had the answer. In his work, Danny differentiates between the experiencing self and the remembering self.The experiencing self lives its life continuously, experiencing around 600,000 moments per month, yet the vast majority of them don’t leave a trace and are completely ignored by the remembering self. What we remember isn’t necessarily what we’ve experienced and memory is certainly biased. Clinical research highlights that the way we remember an experience depends significantly on the ending and the peak feeling. MBAs typically end on a very high note, with a job offer and a fancy graduation party (in the Fontainebleau chateau in our case). The peak of the experience is probably one of the crazy nights out in a foreign city (Lisbon, Split or Bali for example) with 200 other people that you had never met a few months prior. It is almost certain that, according to Kahneman’s work, we will remember the MBA very very fondly. That memory is also distorted (biased) by many different factors including the time, effort and money invested in it. Kahneman and Thaler identified a concept that they called the endowment effect. It basically means that we tend to value things that we own more than we would otherwise. Similarly, Dan Gilbert, psychologist at Harvard, argues that our brain likes things that are ours and that we invested heavily in them- even if we don’t know that we own them. Realizing that was such a relief. To be clear I am not saying that the experience itself doesn’t matter, it clearly does but all I am saying that the constant pressure that the MBA has to be the best experience of my life, day-in day-out, is really not necessary and might distort our decision-making process. It might end up being the best memory, but that doesn’t mean that I need to experience every one of those 600,000 monthly moments like they are the best I’ve ever had and that in itself is liberating. Coming into the MBA experience, I did not know how much of the behavioral sciences insights were integrated in modern-day business teaching. In my previous educational experience, most business/ management courses wouldn’t even mention behavioral sciences at all. After 3 months in INSEAD, I can say that I am very pleasantly surprised that behavioral disciplines are a core part of the INSEAD curriculum. Core courses focus a great deal on teaching us to understand and control our cognitive biases. Our Uncertainty, decision and judgment (UDJ) professor spent most of his time showing us, over and over again, that we are overconfident and that we need to use tools available to us to make better decision. 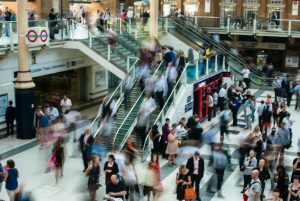 Our organizational behavior course was fundamentally based on social psychology insights. Our accounting professor borrowed from Kahneman and Tversky’s concept of loss-aversion to explain management’s decisions. Similarly, many of the electives that we can take in Periods 3, 4 and 5 discuss different behavioral, physiological and design concepts, which weren’t typically taught in business school. Richard Thaler once said that we are wiser when we are less certain and, according to that statement, and after a few months at INSEAD, I already feel a lot wiser. I have been consistently challenging much of what I learned and experienced before and I am enjoying it. Since this blog is for potential MBA applicants and future students, I have to end it with an ostentatious advice (that you should take with a grain of salt). Spend your time wisely in understanding why you want to do an MBA and what school is a good fit. Recognize and understand your biases to try to minimize them in order to make a good decision. Once you have made up your mind, move forward without doubting yourself. We are all humans and we don’t make perfect decisions- knowing that is a relief. Don’t succumb to the stigmas and pressure. You’re off to an amazing journey. Do your best to enjoy it and make the best out of it, whichever way you see fit. There is no right or wrong way.